Annette Bongiorno testified in her federal court trial that she was just following Bernard Madoff's orders and had no idea she was participating in a massive fraud. After nearly 6 months on trial, Bernard Madoff's former employees were found guilty of participating in the world's biggest Ponzi scheme. Dan Bonventre, Annette Bongiorno, Joann Crupi, Jerome O'Hara and George Perez were hit with a litany of federal criminal charges, including conspiracy to commit securities fraud. Bonventre was convicted on 17 charges, including three for securities fraud and three for falsifying records of a broker-dealer. Each of those charges carries a maximum penalty of 20 years in prison and a $5 million fine. The other four defendants were convicted of multiple charges with a wide range of penalties. They won't know how long they'll be spending in prison until Judge Laura Taylor Swain sentences them in late July. Throughout the trial, the defendants maintained that they didn't know that Madoff's firm was a front for a pyramid scheme that bilked investors out of $20 billion, despite working there for many years. These convictions demonstrate that the "largest-ever Ponzi scheme could not have been the work of one person," said U.S. Attorney Preet Bharara. The five former employees, who were allowed to remain free on bail after the verdict, declined to comment to reporters. Eric Breslin, a lawyer for Crupi, who headed up Madoff's investment advisory business, said "we're very disappointed." Andrew Frisch, who represents Bonventre, vowed to appeal. "The list of Bernard Madoff's victims now includes these five former employees," he said. 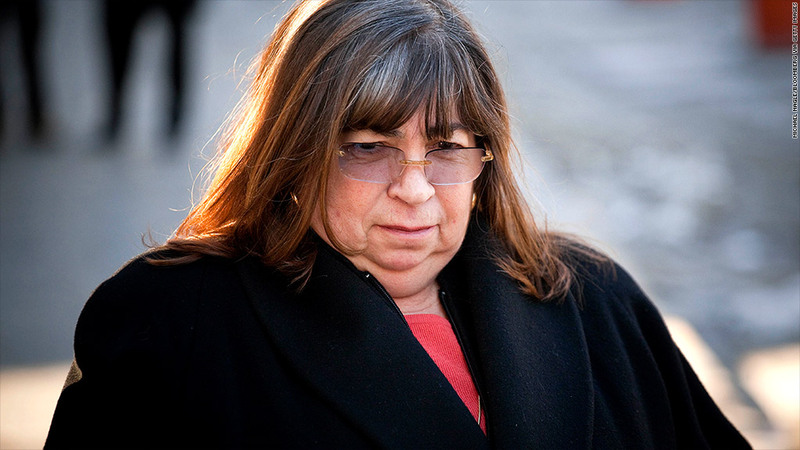 At trial, Bongiorno testified that she spent years recording trades for Madoff that didn't exist, without truly understanding what she was doing. "[Madoff] told me what to do. I typed." she said. Madoff worked to secure the loyalty of his employees by being extremely generous, according to Bonventre, who spent 40 years working for him. "None of that was real," Bonventre testified. "Now I think Madoff was a terribly ill man. It's difficult to reconcile everything I knew about him for 40 years with everything I know now." The trial also featured testimony from government witness Frank DiPiscali Jr., who pleaded guilty and is awaiting sentencing. DiPascali said that fraud, cooking the books and lying to investors was widespread during his 33 years at Madoff's firm. Defense lawyers discredited DiPascali's testimony, primarily because he was an admitted liar and therefore unreliable as a witness. This was the only criminal trial to emerge from Madoff's staggering scheme, which came crashing down with this arrest in 2008. He pleaded guilty to running the Ponzi scheme in 2009 and was sentenced to 150 years. He is incarcerated in a federal prison on North Carolina.